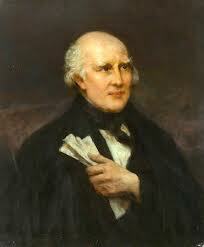 Today in Masonic history Archibald Hamilton Rowan Passes Away in 1834. Archibald Hamilton Rowan was a founding member of the Dublin Society of United Irishmen. Rowan was actually born Archibald Hamilton. He was born and lived in the home of maternal grandfather in London with his mother and sister. Upon the death of his grandfather, Rowan received a large sum of money with three stipulations. First that he receive and Oxbridge education. Second that he add the Rowan family name to his. Finally that he not visit Ireland until after his 25th Birthday. In 1768 Rowan was accepted into Queen's College, Cambridge. Shortly after he was rusticated (a temporary expulsion) for trying to throw a tutor into the River Cam. He would later return to Cambridge and attend Jesus College. During the 1770's and 1780's Rowan traveled extensively including the America's. On his travels he witnessed the early seeds of revolution in the American Colonies. This may have been where he would get the ideas for his own rebellion in the future. In his 30's Rowan moved to Ireland with his wife Sarah Dawson. Rowan would become famous in and around Dublin as a champion of the poor. His first cause was that of Mary Neal, a 14 year old girl who was lured into a Dublin brothel and then assaulted by Lord Carhampton. Rowan publicly denounced Carhampton and published a pamphlet about his investigation into the assault of Mary Neal. At one point he even entered a Dublin dining club with his Newfoundland at his side and a shillelagh in the other just to confront some of Mary Neal's detractors. For this he received public applause and became known as a champion of the poor. It was shortly after this that Rowan joined the Northern Whig Club and would later become a founding member of the Dublin Society of United Irishmen. After joining the society Rowan would be arrested twice, both times for seditious libel. On his second arrest he found himself in prison. When some of his fellow prisoners who he had been conspiring with regarding the current war with France he decided it would be best to leave the country. He informed his jailer that he needed to visit his wife to sign some papers. While at the home Rowan was able to escape out a second story window and flee to France. In France Rowan was concerned at the violence that happening during the French Revolution. He left France and went to Philadelphia and then to Delaware. While in Delaware Rowan was concerned that he might never return to Ireland so he began writing his memoirs. The opening of the memoirs is an address to his family. In the memoirs Rowan indicated that he had become a Freemason while in Cambridge and was Past Master of his lodge.